Measuring digital picture quality, as perceived by human observers, is increasingly important in many applications in which humans are the ultimate consumers of visual information. Standard dynamic range (SDR) images provide 8 bits/color/pixel. High dynamic range (HDR) images, usually created from multiple exposures of the same scene, can provide 16 or 32 bits/color/pixel, but need to be tonemapped to SDR for display on standard monitors. Multi-exposure fusion (MEF) techniques bypass HDR creation and fuse exposure stack directly to SDR images with aesthetically pleasing luminance and color distributions. Many HDR and MEF databases have a relatively small number of images and human opinion scores. The opinion scores have been obtained in stringently controlled environments, thereby limiting realistic viewing. To overcome these challenges, we have conducted a massively crowdsourced online subjective study. 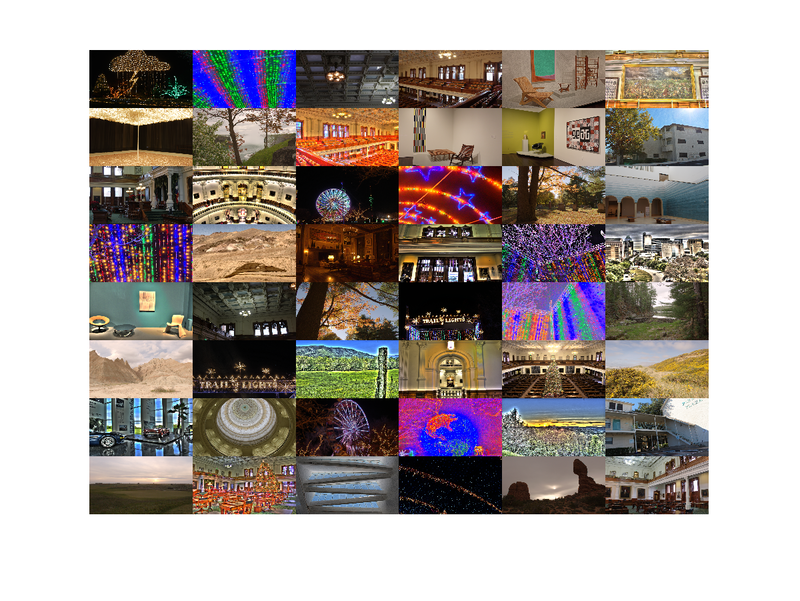 The primary contributions of this paper are (1) creating the ESPL-LIVE HDR Image Database containing diverse images obtained by TMO and MEF algorithms, with and without post-processing; (2) conducting a large-scale subjective study using a crowdsourced platform to gather more than 300,000 opinion scores on 1,811 images from over 5,000 unique observers; and (3) evaluating correlation performance of state-of-the-art no-reference image quality assessment algorithms vs. opinion scores on these images. D. Kundu, D. Ghadiyaram, A. C. Bovik and B. L. Evans, “Large-scale Crowdsourced Study for High Dynamic Range Images,” IEEE Transactions on Image Processing, submitted.,May 2016, http://users.ece.utexas.edu/~bevans/papers/2017/crowdsourced/index.html. D. Kundu, D Ghadiyaram, A. C. Bovik, and B. L. Evans, “ESPL-LIVE HDR Image Quality Database,” Online: http://signal.ece.utexas.edu/~debarati/HDRDatabase.zip, May 2016. You can download the database by clicking THIS link. Debarati Kundu ( debarati@utexas.edu ) -- Graduate student, Dept. of ECE, UT Austin. Deepti Ghadiyaram ( deeptigp9@gmail.com ) -- Graduate student, Dept. of CS, UT Austin. Permission is hereby granted, without written agreement and without license or royalty fees, to use, copy, modify, and distribute this database (the images, the results and the source files) and its documentation for any purpose, provided that the copyright notice in its entirity appear in all copies of this database, and the original source of this database, Embedded Signal Processing Laboratory (ESPL, http://www.signal.ece.utexas.edu ) and Laboratory for Image & Video Engineering (LIVE, http://www.live.ece.utexas.edu ) at the University of Texas at Austin (UT Austin, http://www.utexas.edu ), is acknowledged in any publication that reports research using this database.